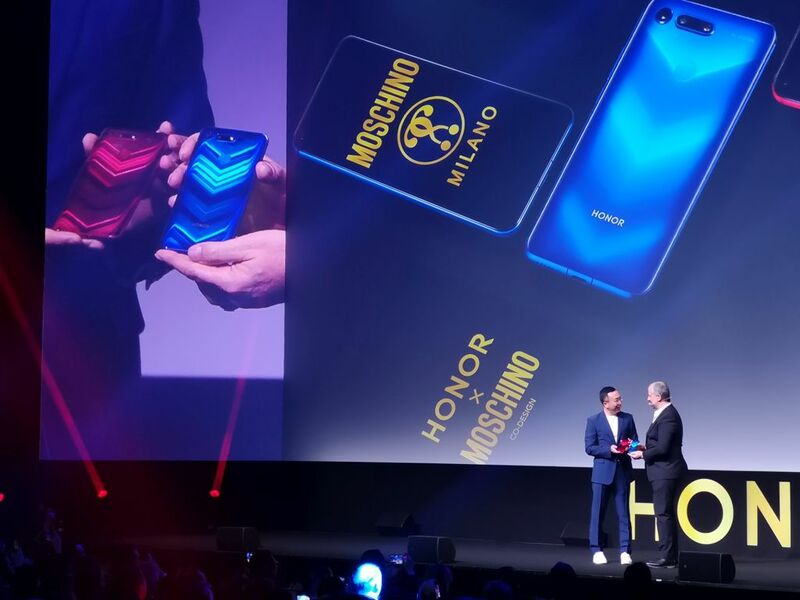 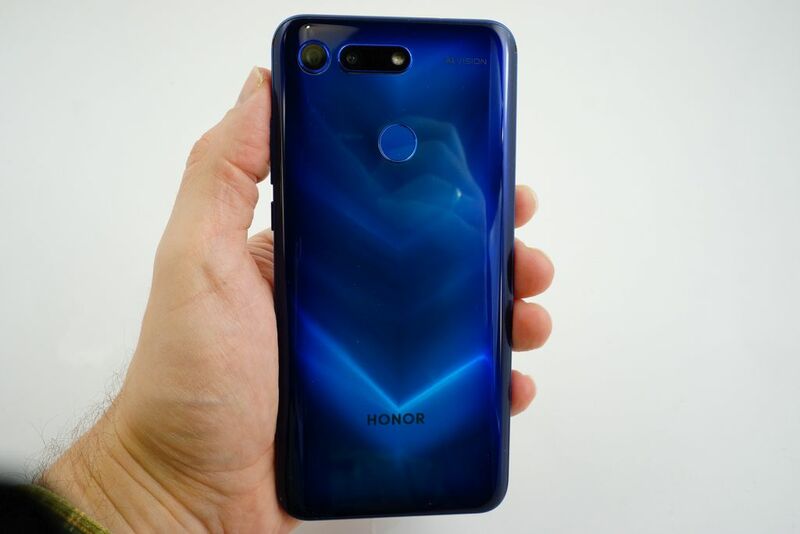 We have already seen decorated housings based on a multi-layered varnish giving the impression of a gradient or aurora, but for the first time the design was designed on the letter V. The smartphone not only looks aesthetically, but also extremely and uncommonly. 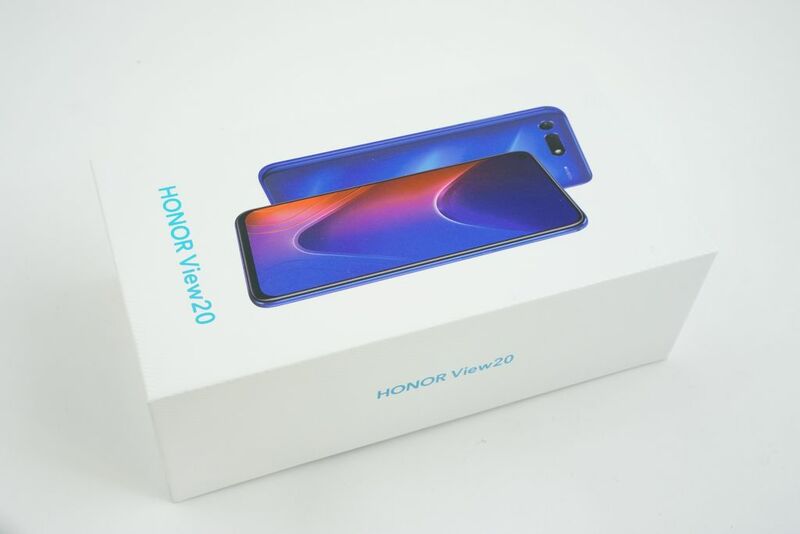 Honor View20 catches the eye and does not let you pass by indifferently. 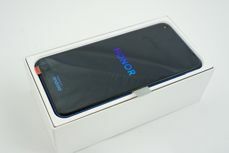 The surface of the varnish is probably the most high-gloss polished wood, if of course we would imagine wood in blue or red. 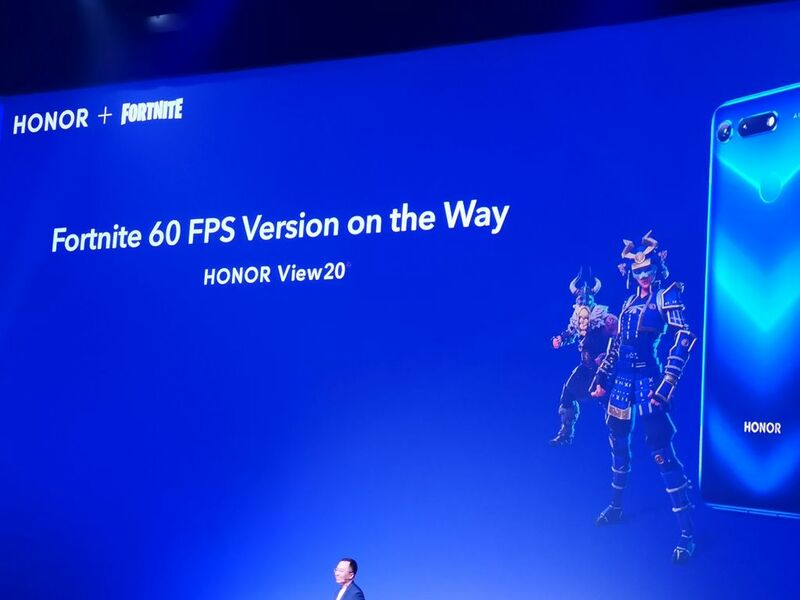 And besides? Metal and glass. 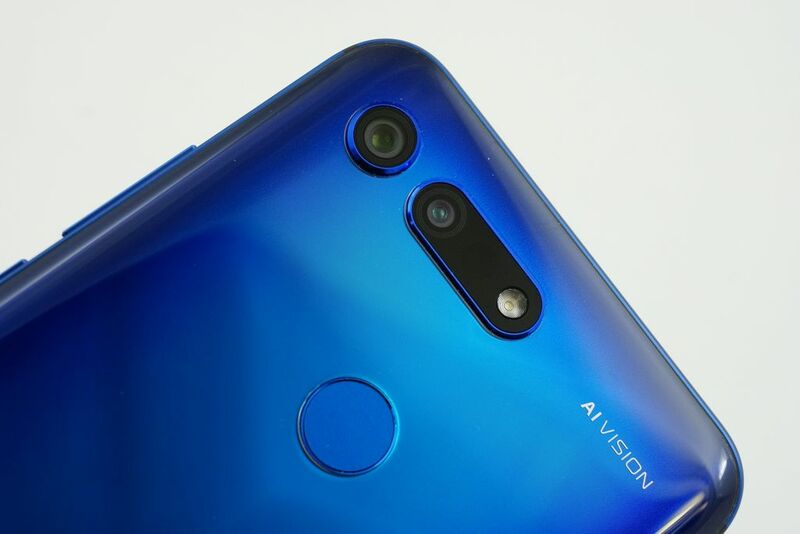 When you can tear your eyes away from the hypnotic gloss, you can see in the upper left corner the lens, which not without reason seems to be slightly larger than in standard cameras, as well as a second lens combined with a LED flash. 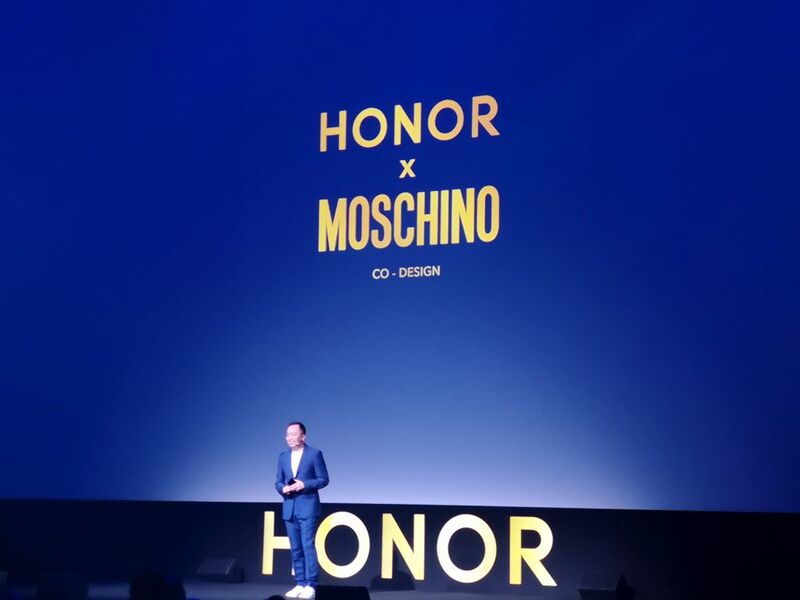 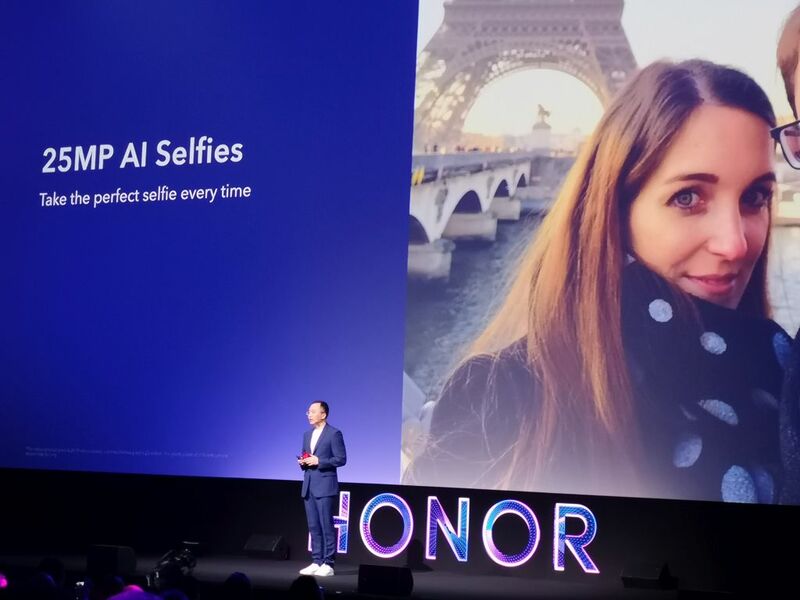 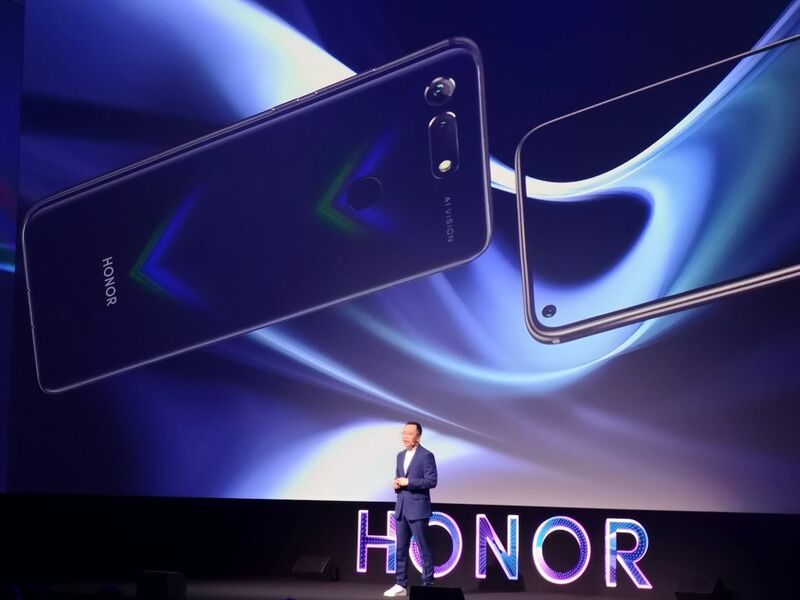 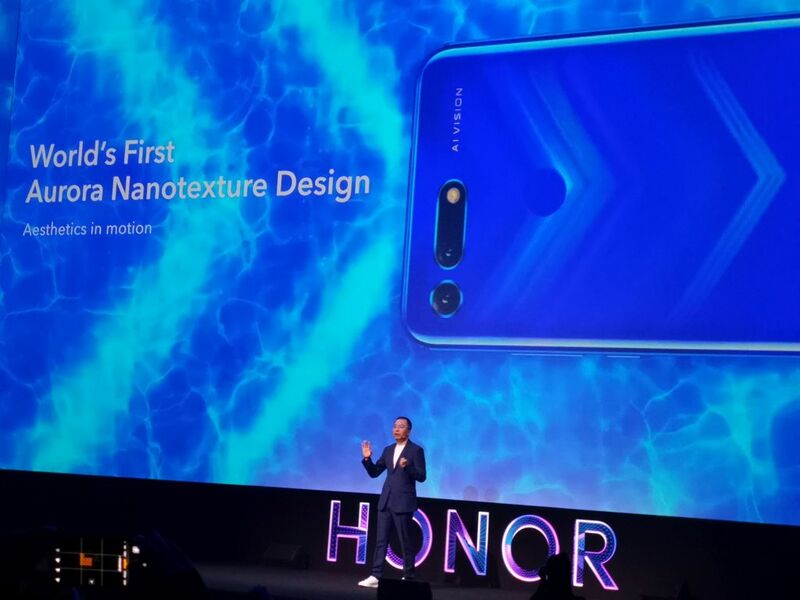 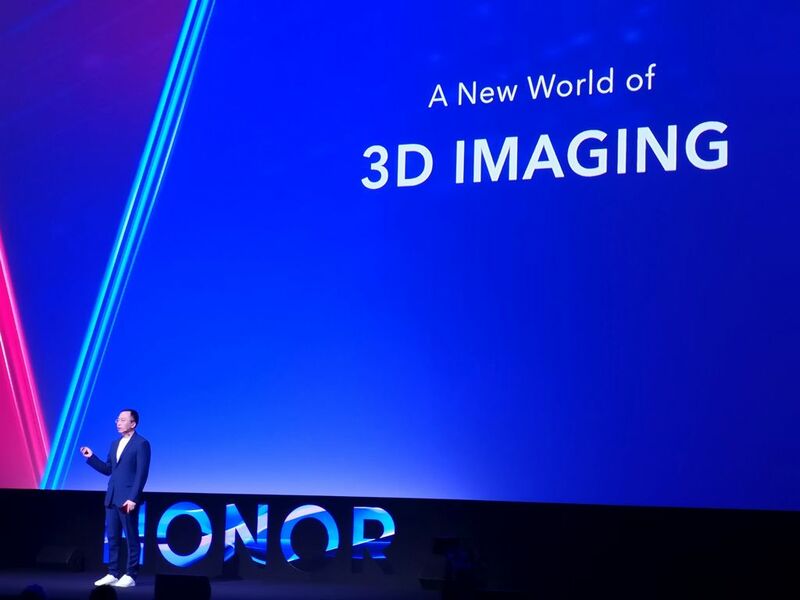 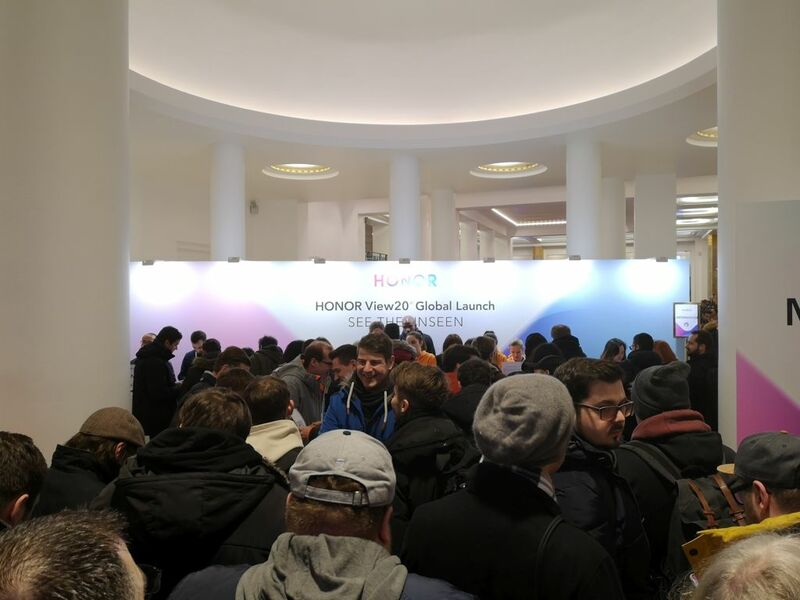 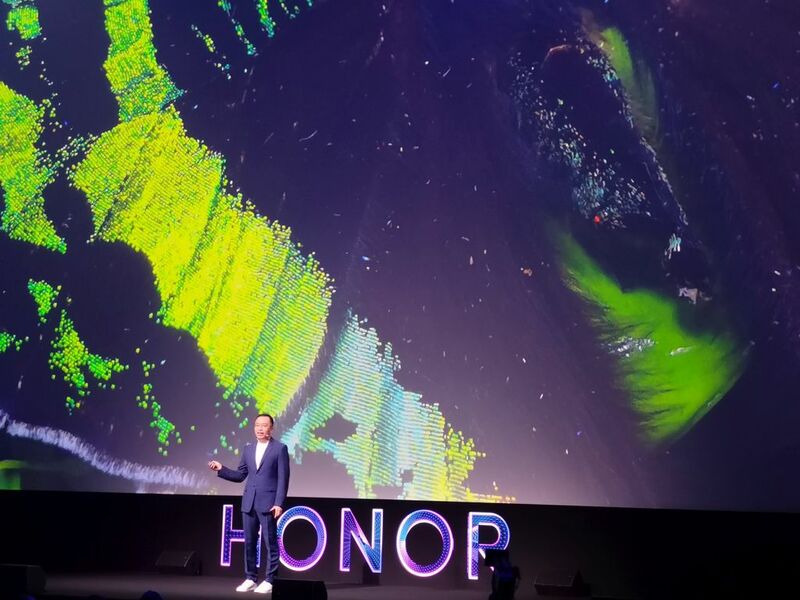 The AI Vision inscription clearly shows that Honor View20 takes pictures with the help of artificial intelligence. 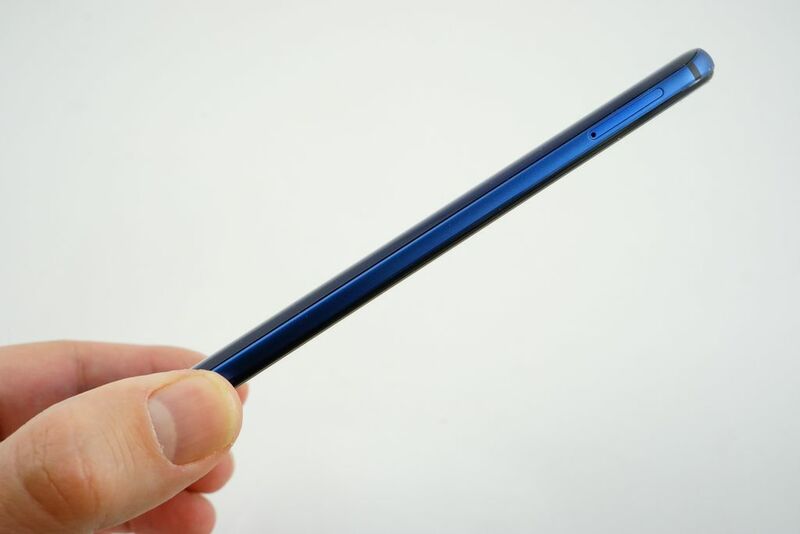 Centrally, in around three quarters of the height, a matte fingerprint reader is placed, while at the bottom, also centrally, a new manufacturer's logo appears. 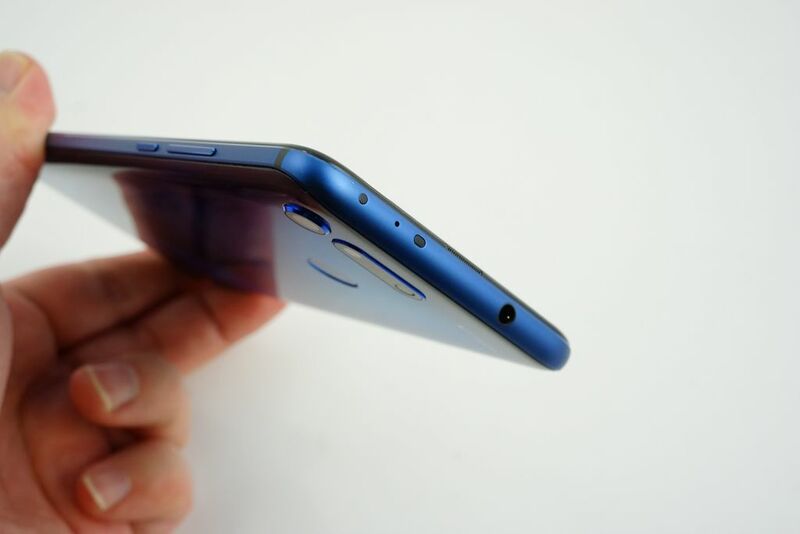 The back is bent so that it overlap the edges of the housing. The ease with which you can clean the surface suggests that some kind of oleophobic coating was used here. 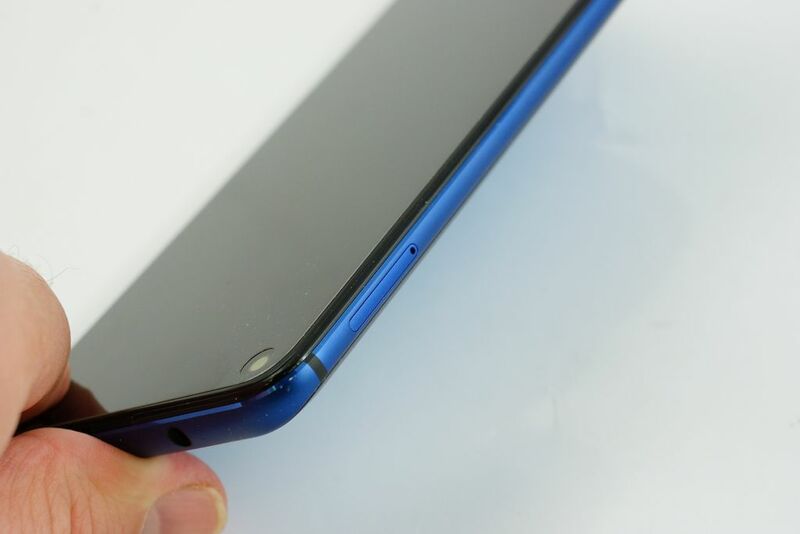 The switch placed on the right edge, under the oblong volume control button, has a claw felt under the finger. 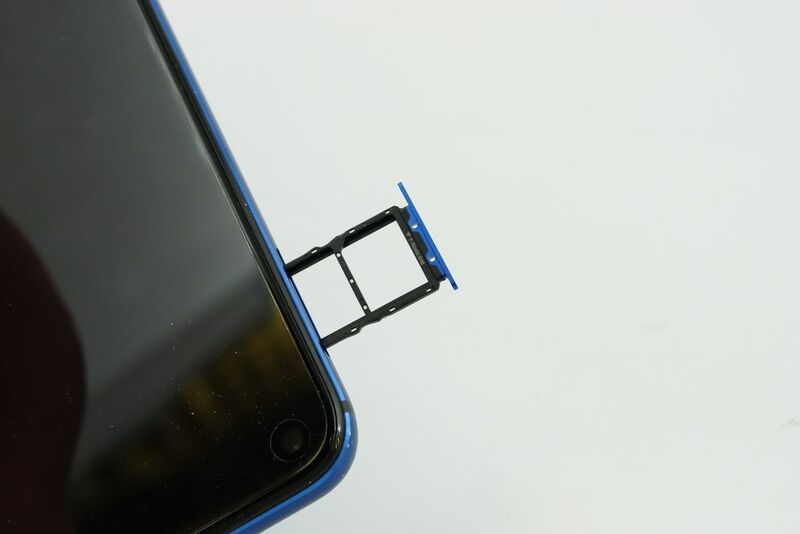 There is a SIM card tray on the left edge at the top. The lower edge is occupied by a microphone, an external speaker and a USB-C socket. 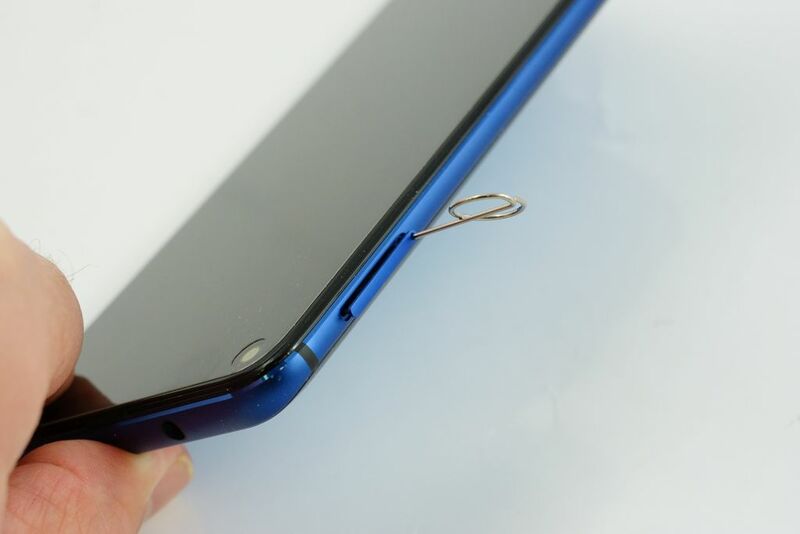 Fortunately, the manufacturer did not get rid of the 3.5 mm audio jack placed on the top edge of the jack. 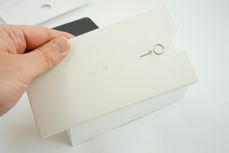 Next is the infrared diode and the second microphone. 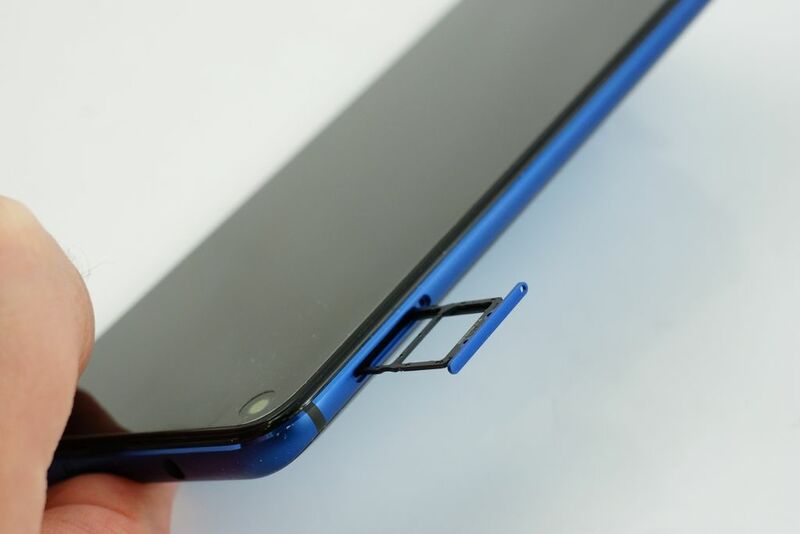 The speaker for conversations is unusually found not on the front panel, but on its bend. 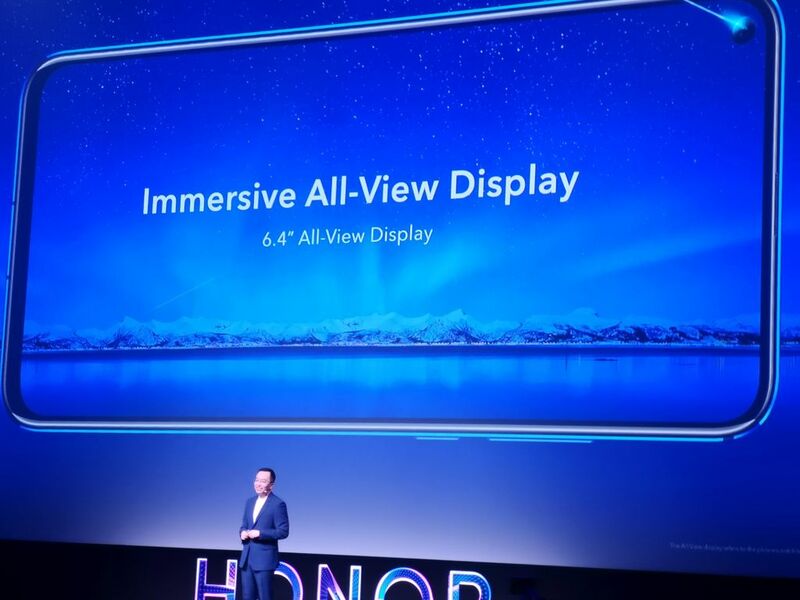 The 6.4-inch IPS display working in a resolution of 1080x2310 px, occupies almost the entire front of the smartphone. 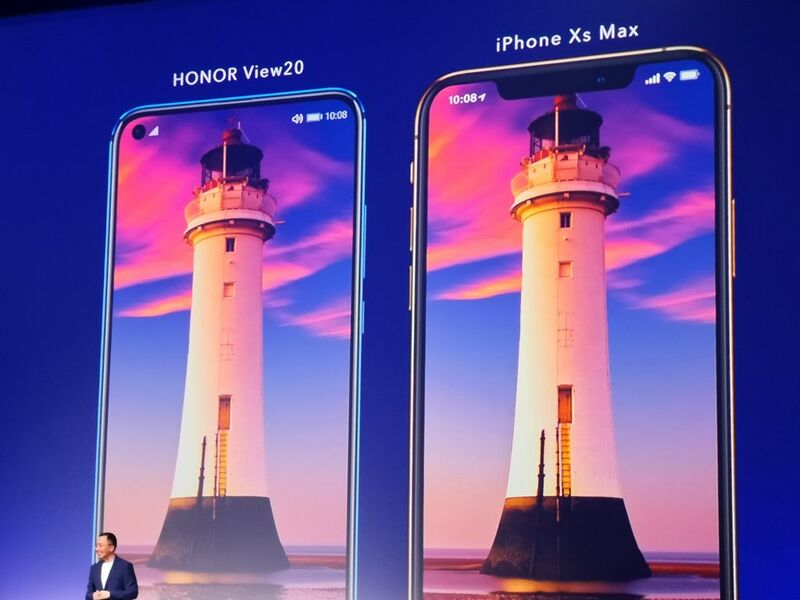 The manufacturer used in View20 one of the latest patents that allow to get rid of the notch. 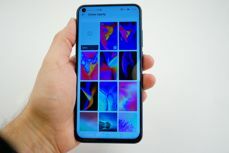 One of the elements of this solution is the above-mentioned unusual placement of the speaker for conversations, while the next - the front camera located directly in the display, and more precisely: in its upper left corner. 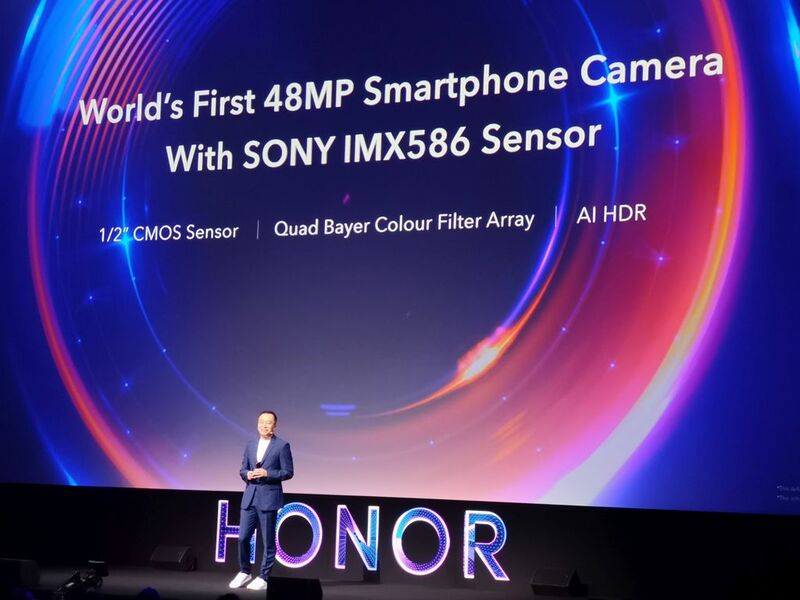 If we look at the technical specifications, we will probably see first of all one of the first Sony IMX586 sensors on the market, which means 1/2" of active surface, 1.6 micrometres pixels and 48 Mpx resolution. 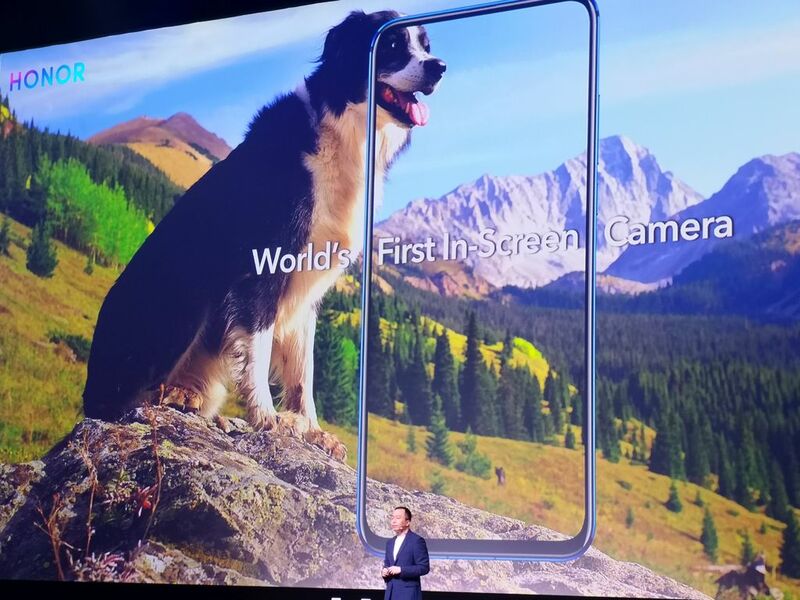 The camera does not take a single picture. 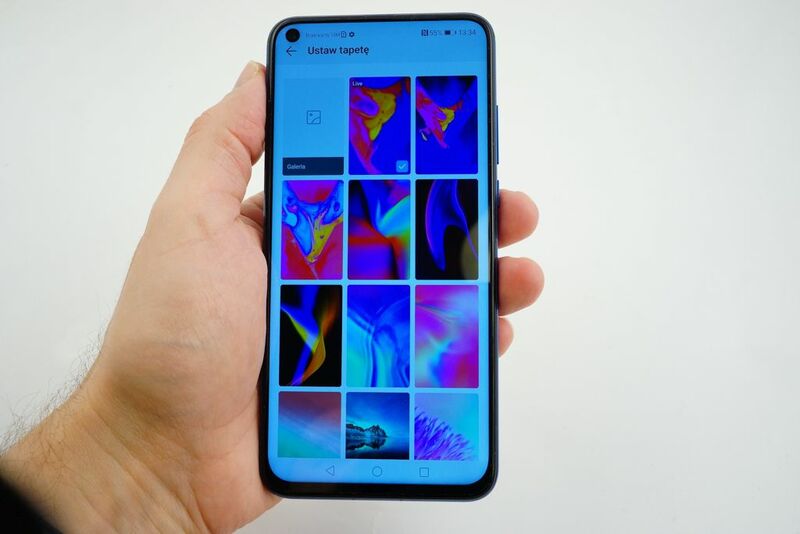 The final photo is the effect of applying several intermediate photos, which should finally give a sharp and well-lit work thanks to the software. 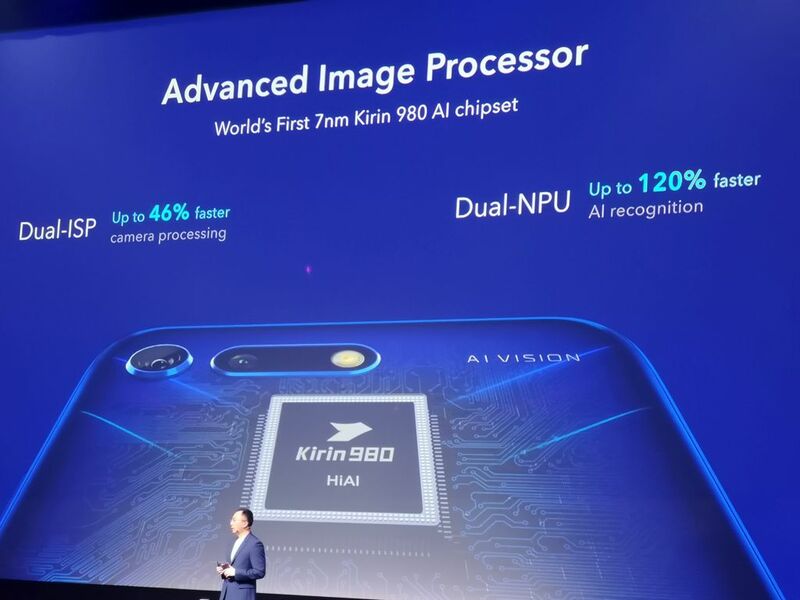 In the active image processing, two NPU work units are taking part that are components of the Kirin 980 processor. 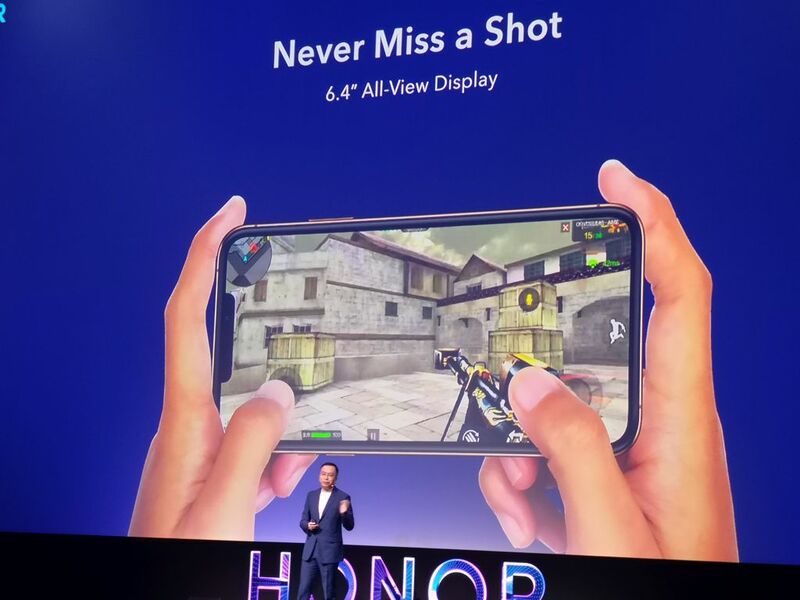 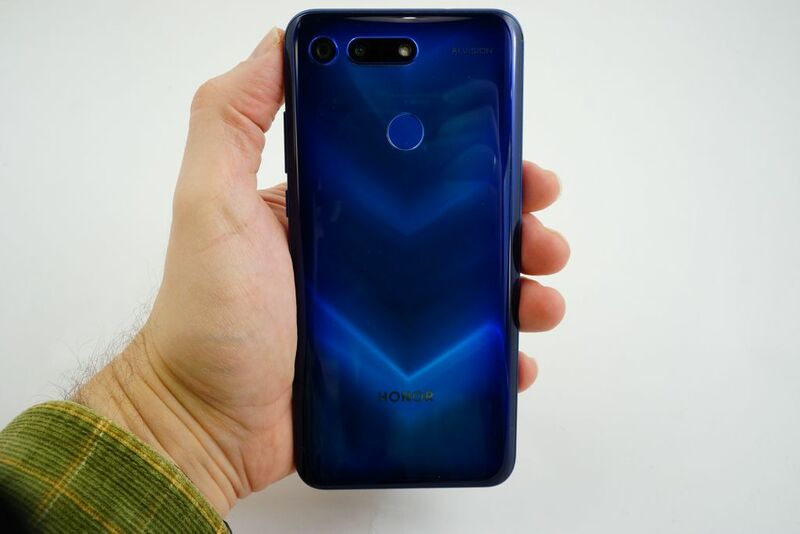 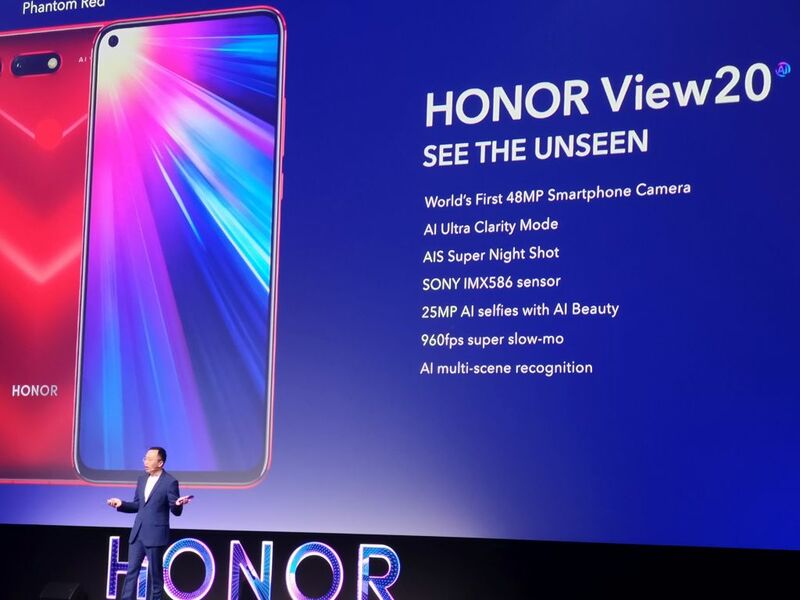 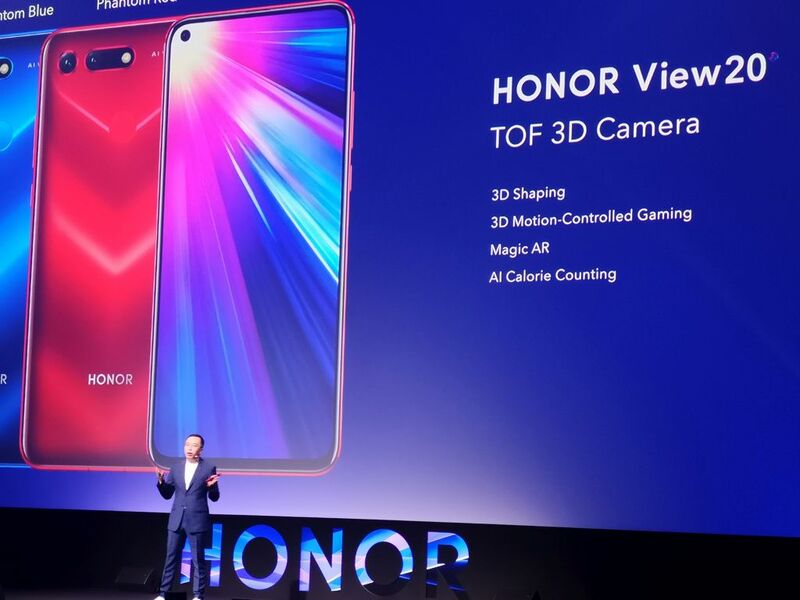 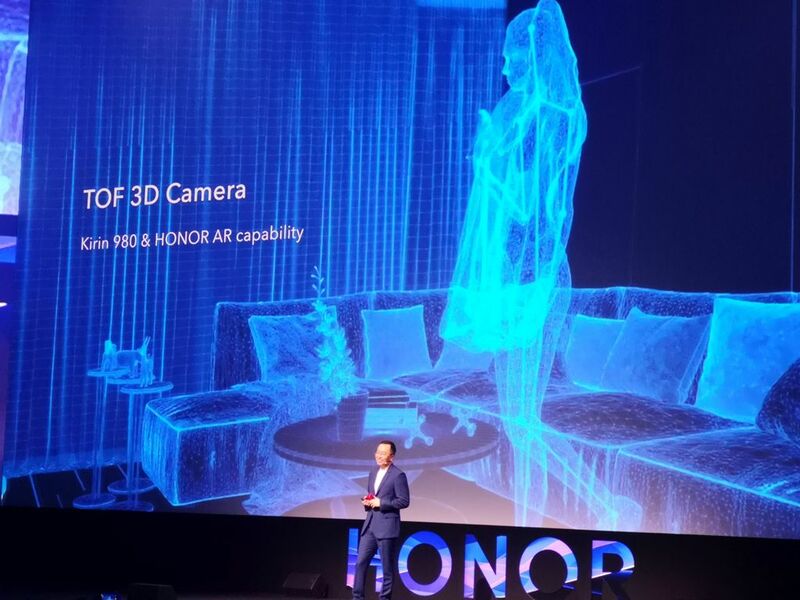 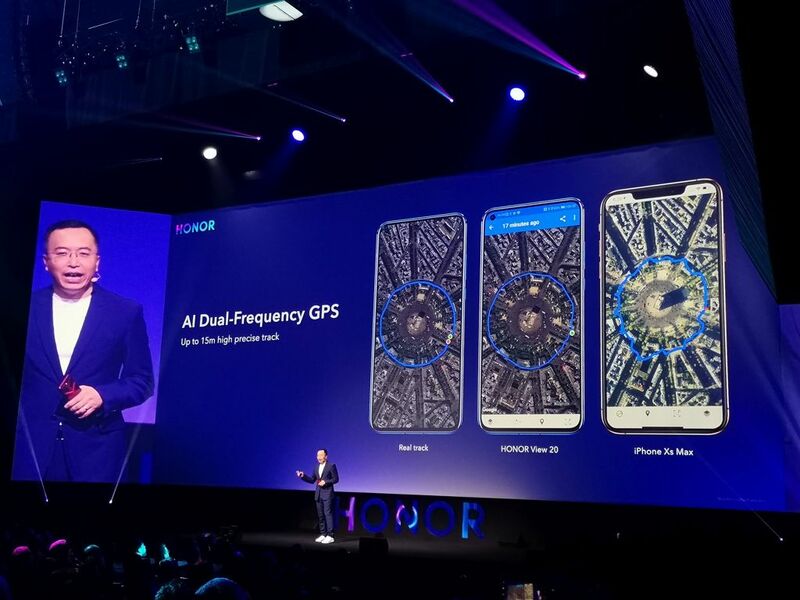 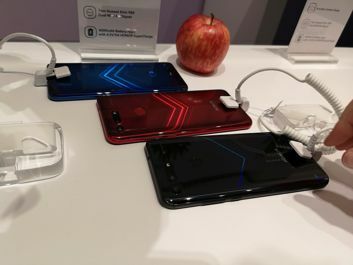 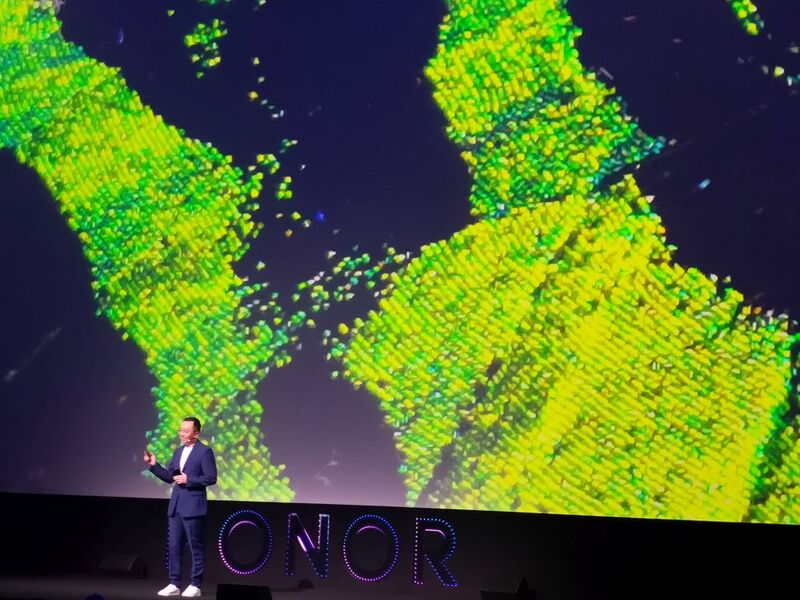 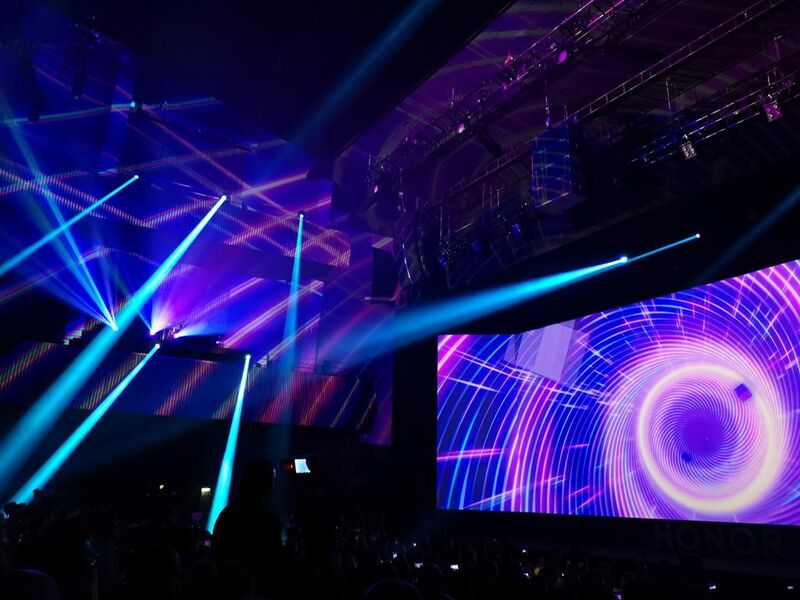 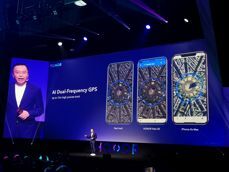 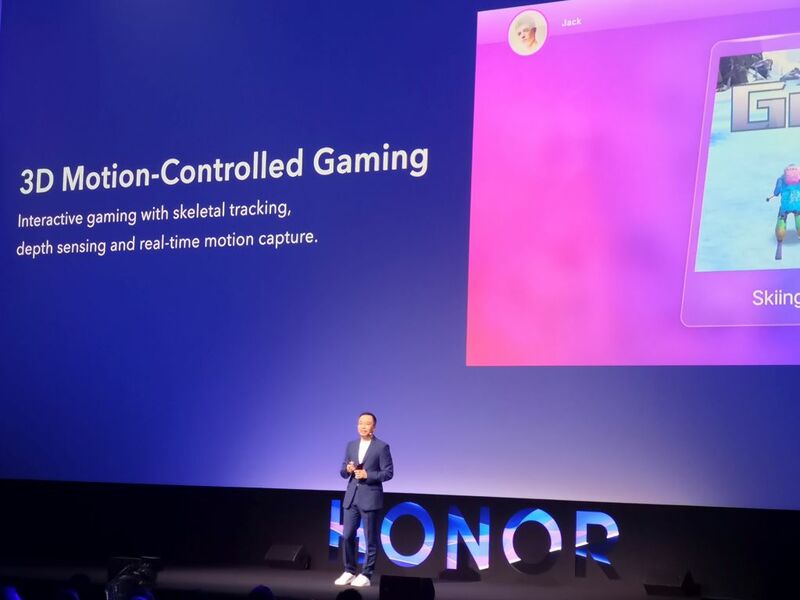 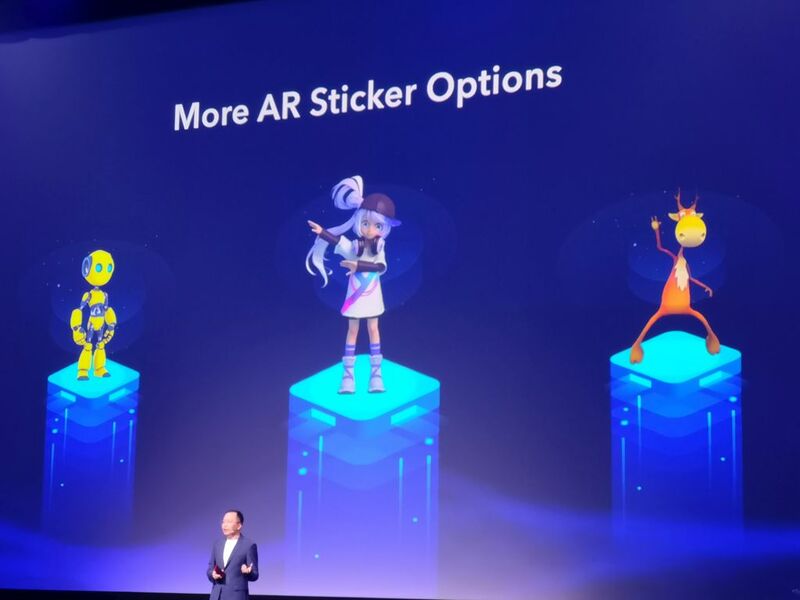 Additional rear camera of Honor View20 is a ToF camera, which has the task of detecting depth, tracking objects and their mutual arrangement in space; can be used as a 3D game controller. 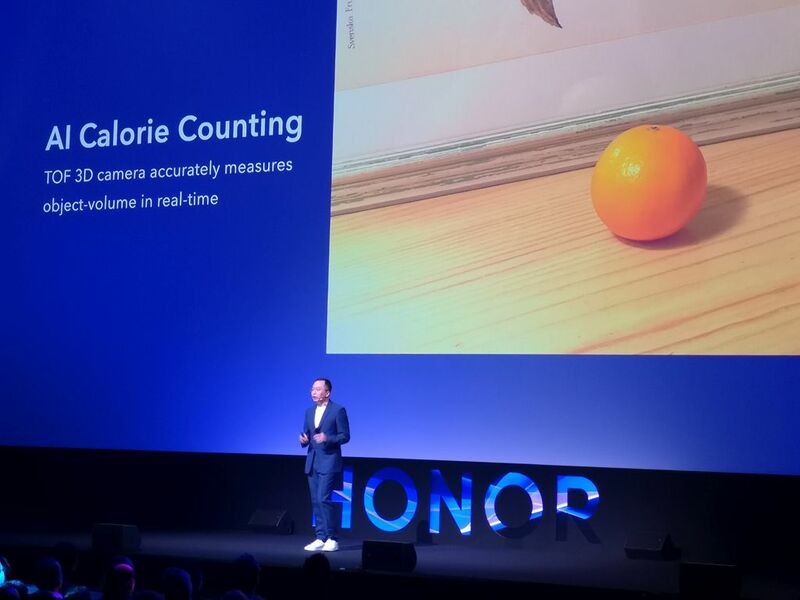 The manufacturer declares for now the service of Fancy Skiing and Fancy Darts, but also recognition of 100 food products and dishes with the possibility of providing their nutritional value in calories. 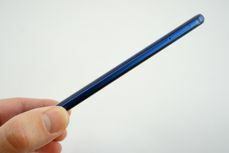 Added to this is the recognition of 300 buildings and landscapes from around the world and 100,000 images. 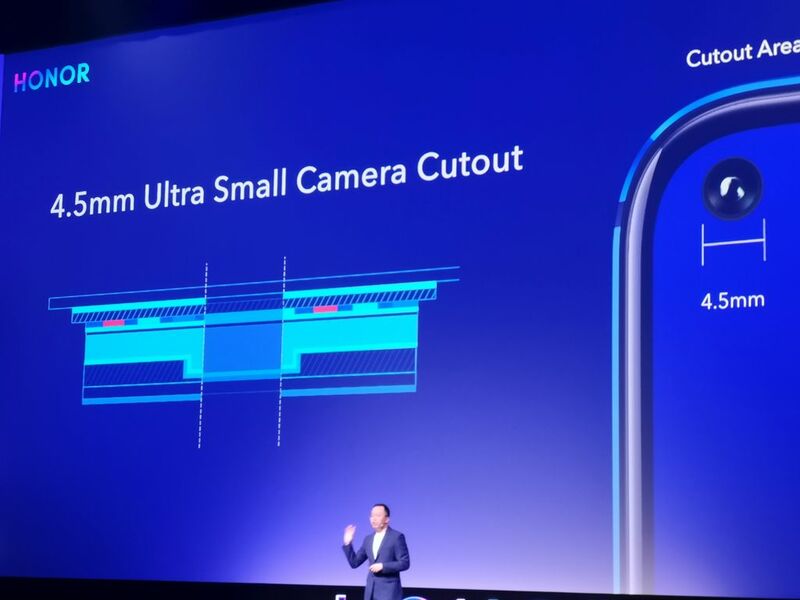 Thanks to the specific location of the front camera, the silicon-coated glass screen occupies almost 92% of the front panel surface. 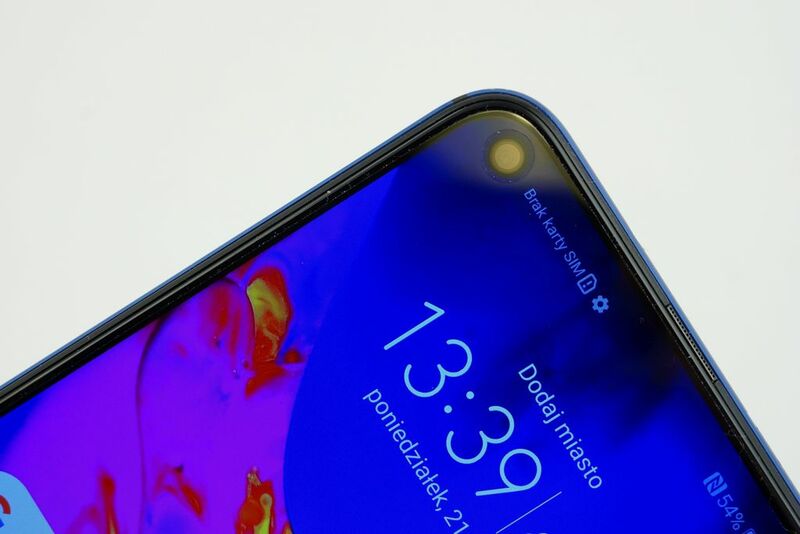 The camera matrix is 25 megapixels, 4.5 mm in diameter, and the manufacturer declares that despite the "perforation" the display surface has not been weakened mechanically. 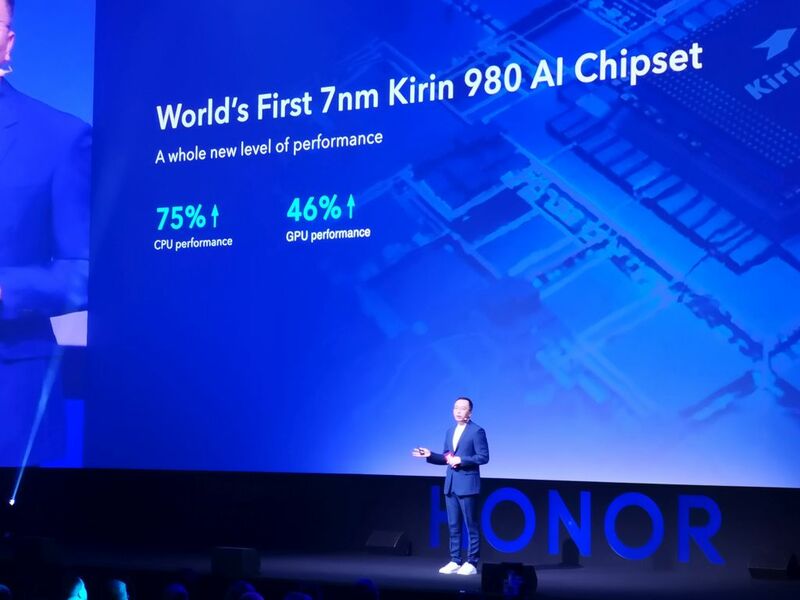 Kirin 980 is still the most powerful unit installed in the Huawei and Honor smartphones. 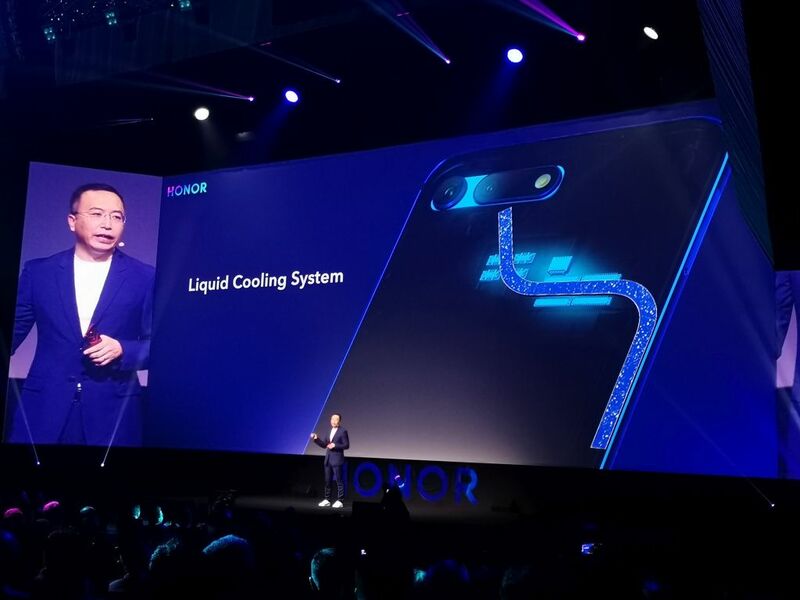 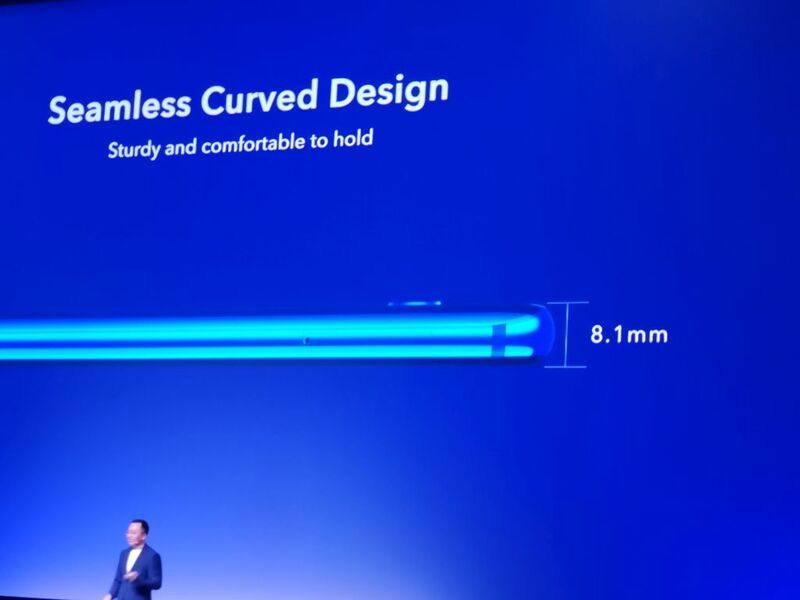 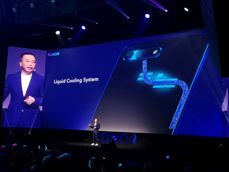 Made in 7 nm technology, the chip was equipped with two NPU processors and additional liquid cooling. 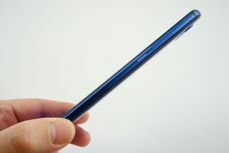 Depending on the version, it is accompanied by 6 or 8 GB of RAM and 128 or 256 GB of flash memory. 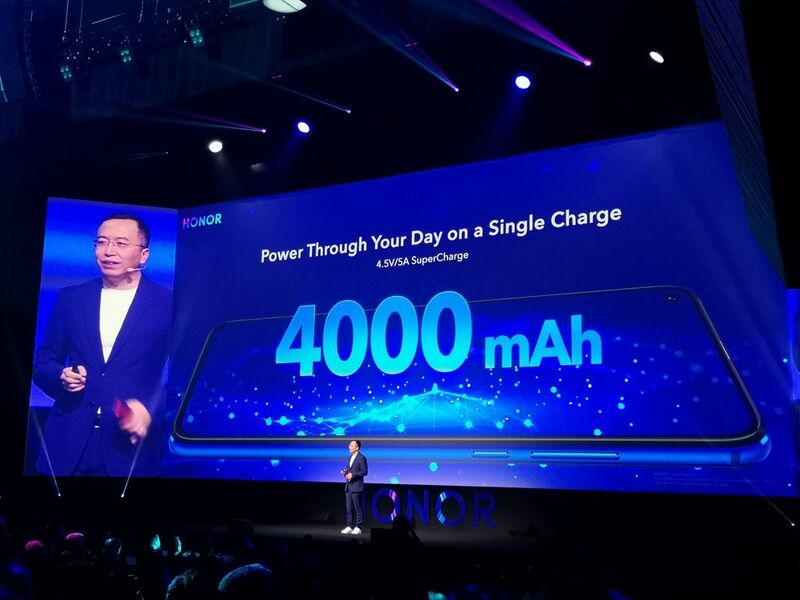 The whole is powered by a polymer cell with a capacity of 4000 mAh, which can be quickly recharged thanks to the support of the SuperCharge standard. 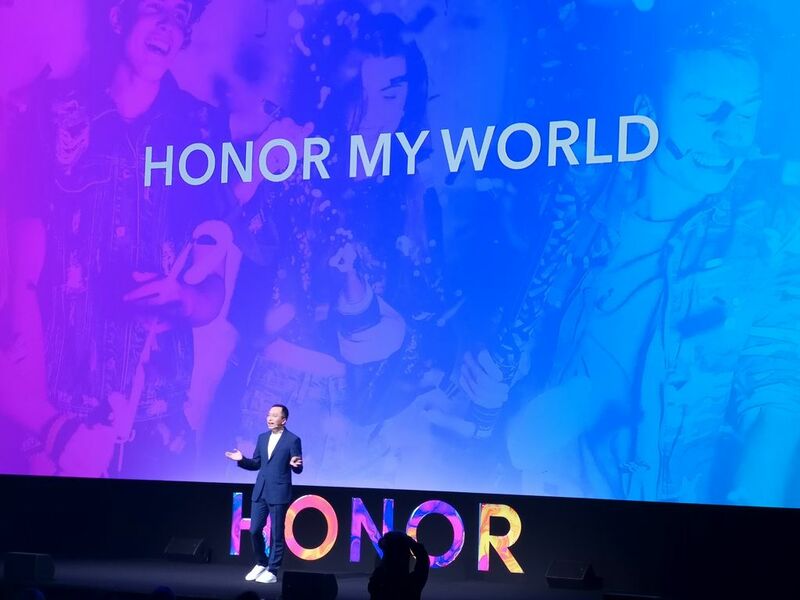 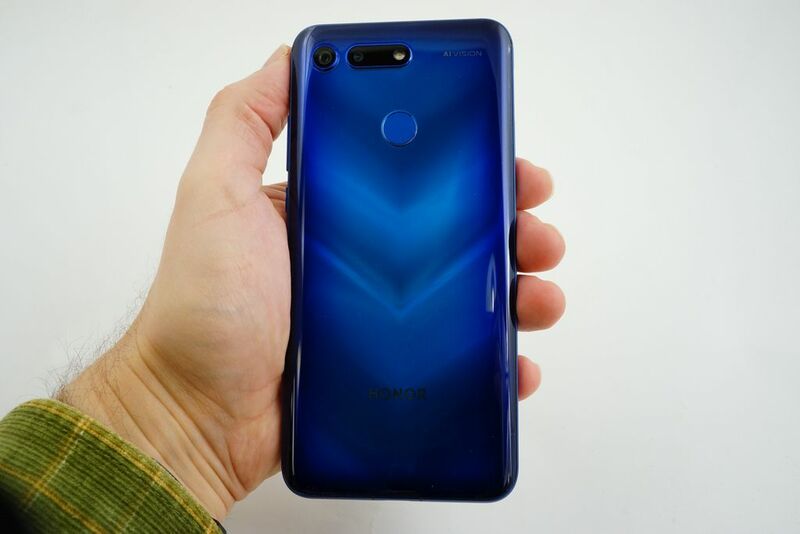 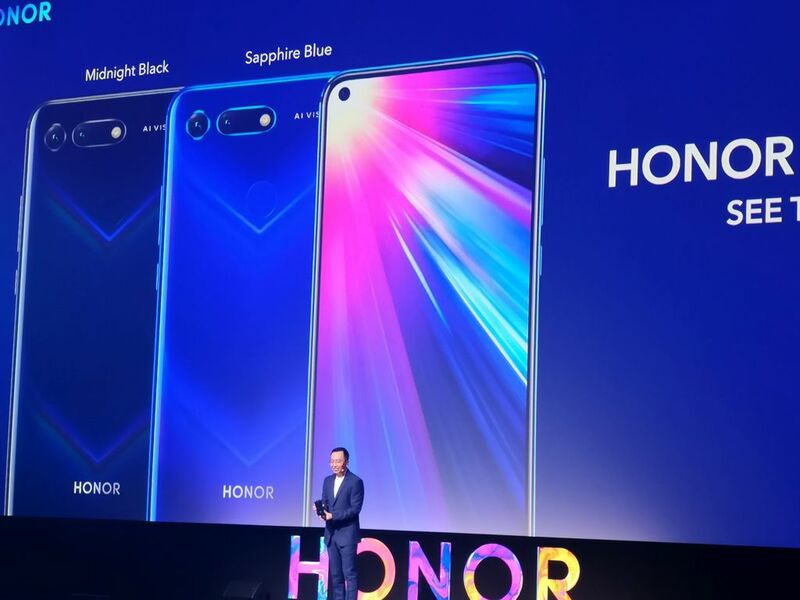 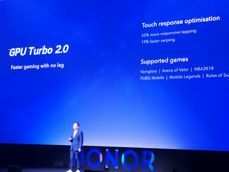 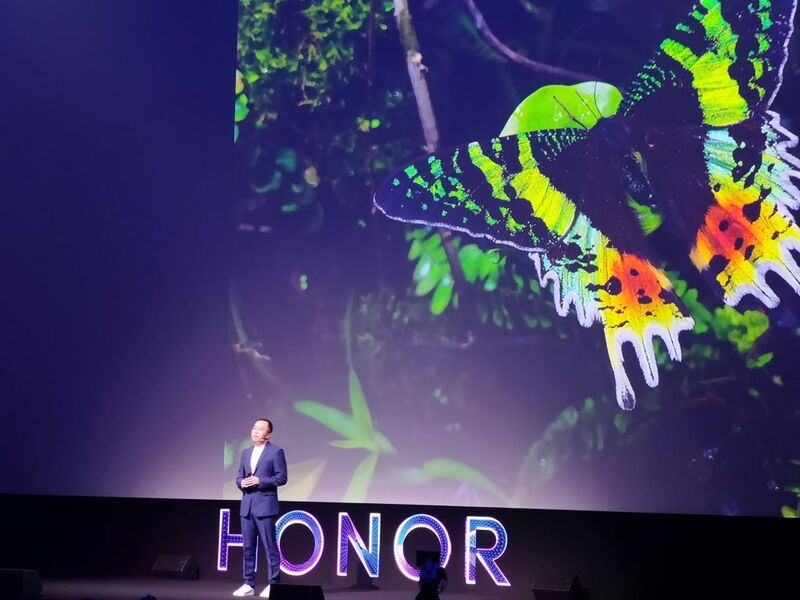 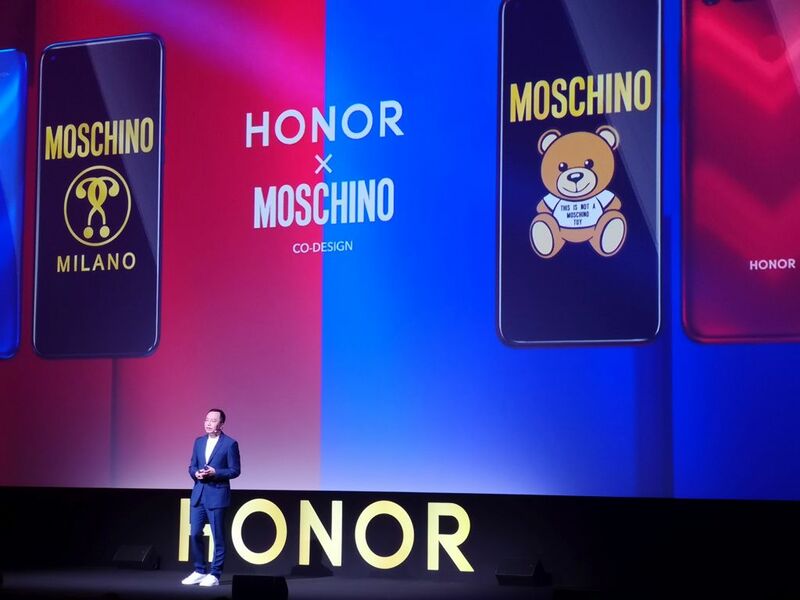 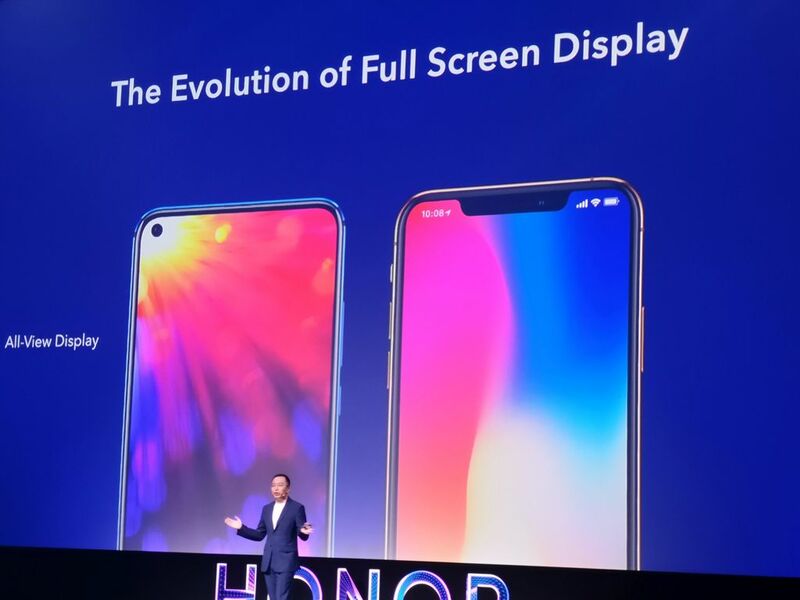 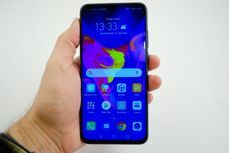 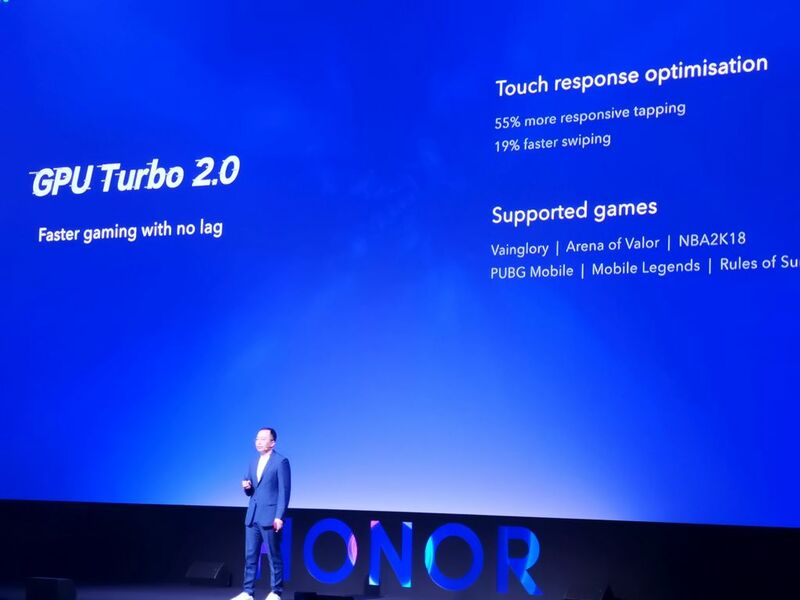 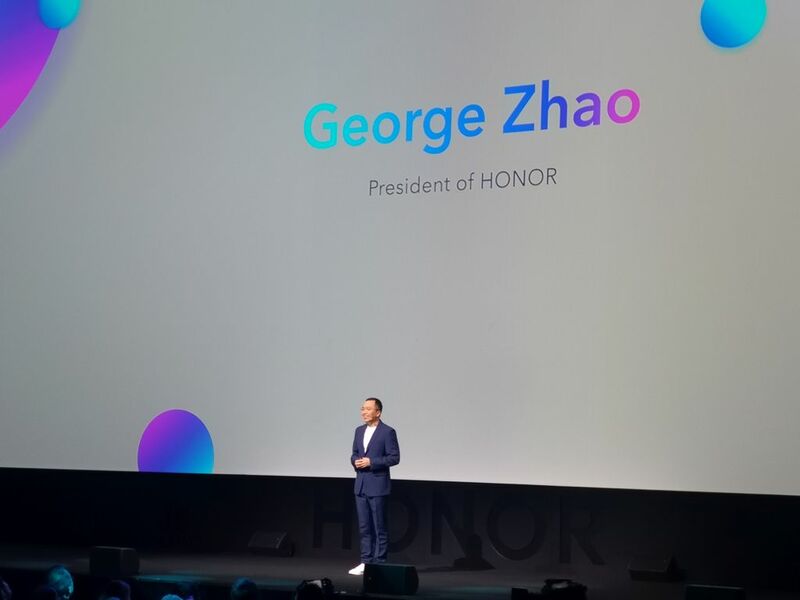 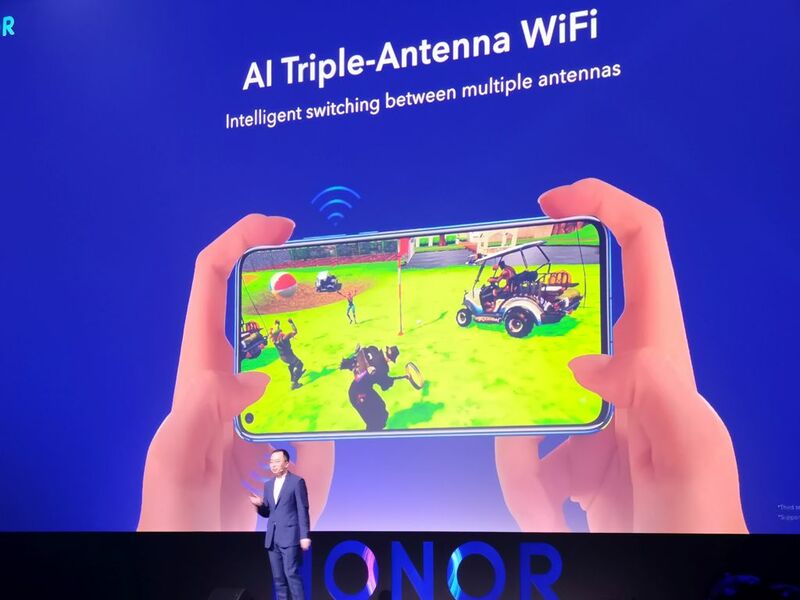 Honor View20 supports two SIM cards. 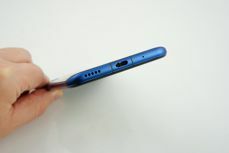 I have already mentioned the sockets mounted in the casing, but I did not provide information that the USB transfer appears here in version 3.1 with OTG. 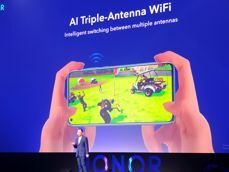 It is also worth mentioning WiFi in both ranges, BT 5.0 and NFC. 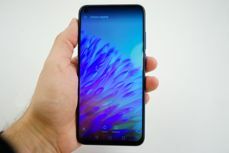 The smartphone works under the control of Android 9.0 Pie with Magic UI 2.0.1. 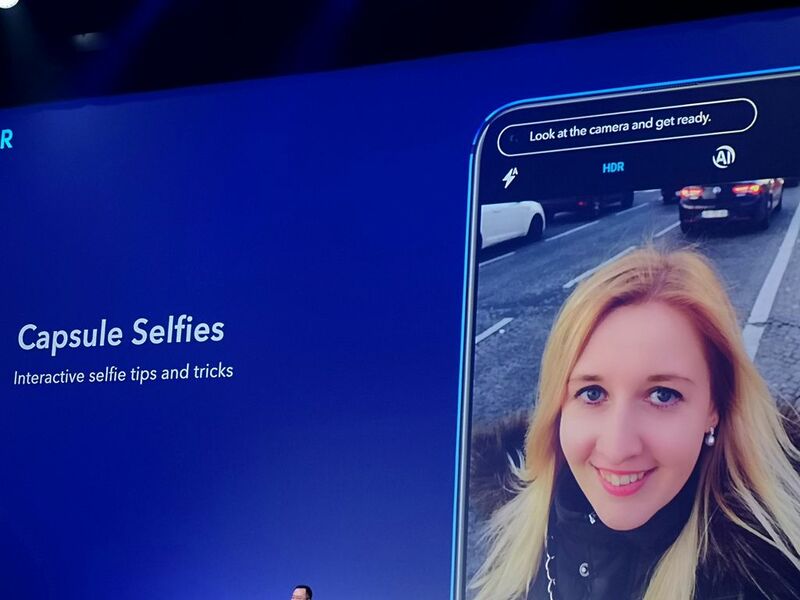 Among the applications I found two not necessary: Booking and the Amazon store - both can be easily uninstalled. 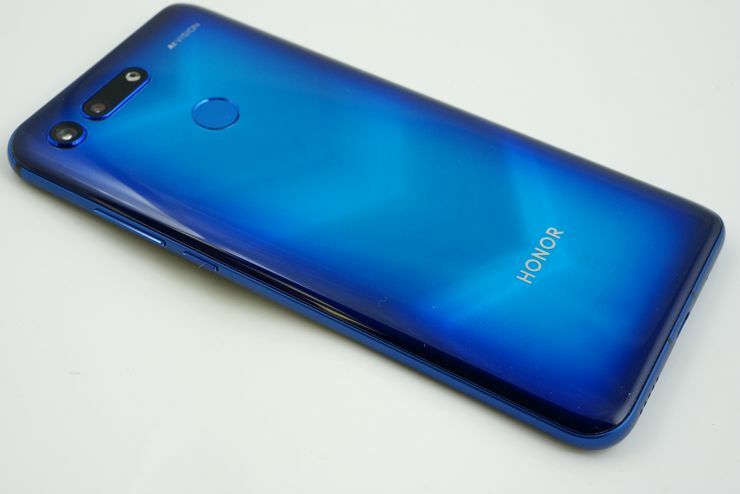 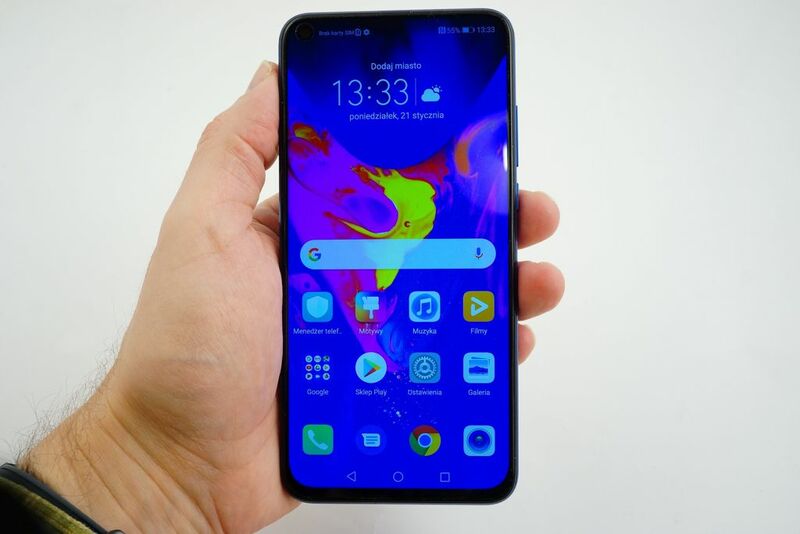 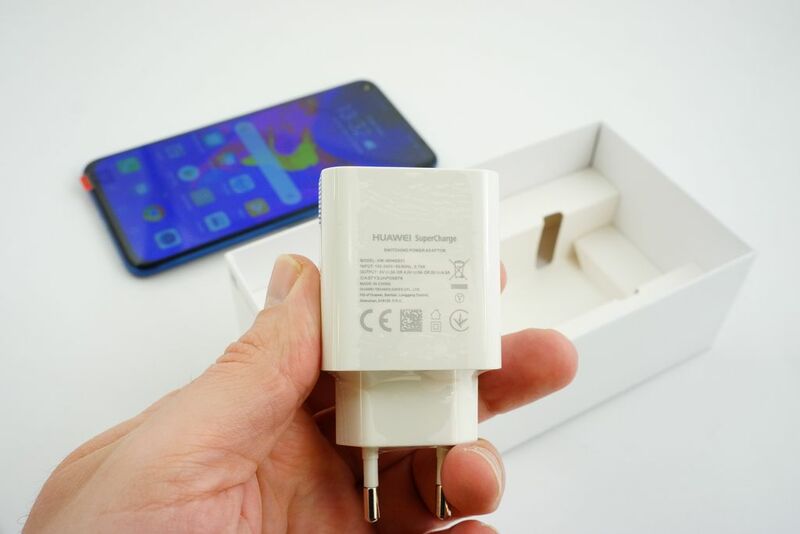 In addition, we have the software specific to Huawei and Honor smartphones with the possibility of painless change from another smartphone, or the optimization of memory, battery and data transmission. 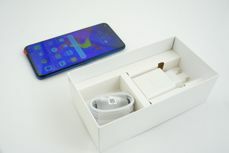 There is HiCare and Health, Intelligent Pilot, Mirror application and Microsoft Translator. It is not cheap, but it's nice! 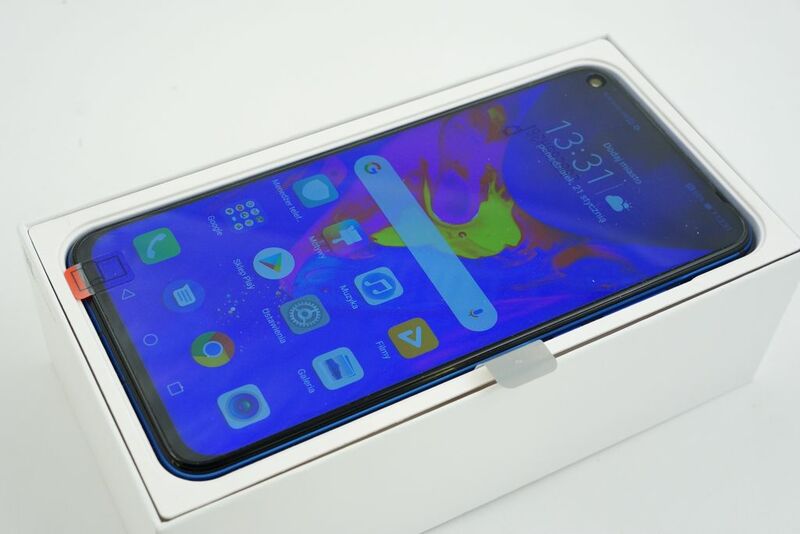 At the moment I have the opportunity to use the smartphone for about 36 hours. 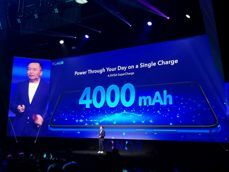 Battery consumption is reasonable, very nice pictures, and I have no comments about the smoothness of the operation. 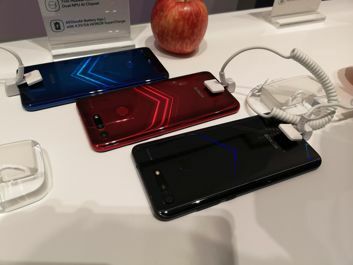 In the trial versions, Google payments are not working yet, but on prototypes it is rather obvious and there will be no problems with sales versions. 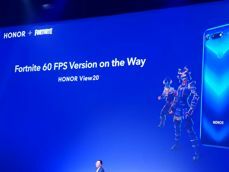 Source GSMchoice.com; viewed: 431 times.